In the age of Internet, trends change faster than blink of an eye and businesses are evolving faster than ever. By the time you realize that a technology or business trend is emerging, something else is already come up to disrupt the situation that quickly makes the business / technology plans you are thinking of, look obsolete. This continuous churn creates challenges for entrepreneurs who may quickly get disoriented and confused. In order to demystify this churn, and make sense out of it, the entrepreneur begins to reach out to the ‘Sages’. Which begs the question, who are these Sages? These Sages can come under various names, such as Mentors, Advisors, Experts and so on…. Getting connected with the right people in the Industry, etc. But as you think of engaging with Sage, I would suggest that you think of one, more or all of these things, so that you get best and most out of the engagement with the Sage. a. Time spent: How much time is the Sage expected to spend with you during the engagement? Is that time being spent in once a week meeting or on-going email communication? What is the protocol to respond to urgent issues where help / guidance is needed? b. Expected out come: What is expected out from the engagement? Is it only soft conversation or are there are any specific deliverables? c. Onsite / Off-site: Is the Sage supposed to be onsite for specific duration? Or is it a virtual engagement? What is the impact of that on the outcome of the engagement? d. Payment: Is it a retainer model with cash + equity / cash only / equity? Or is it milestone / deliverables based? e. Duration: What’s the duration of the engagement? What would be the minimum amount of time to figure out if the engagement is working as expected or not? Will it be sufficiently long for something meaningful to come out of it? f. Activities (core / non-core): Which activities will the Sage spend most time on? What are some of the associated auxiliary activities that you may want the Sage to focus on? g. Primary point of contacts: Who would be the primary point of contacts for engaging with Sage, so that Sage is not getting distracted? h. Communication methods: Given that Sages are busy people and communication methods like emails are abused, its best to discuss the communication method with the Sage for various type of activities? When would the Sage prefer phone to email or in-person meeting and vice-versa? i. Effectiveness metrics: Aspect of measurement should always be nailed down upfront, so that you can prevent having a conversation like… “I engaged with this Sage, but after 3 months I really don’t know what I got out of the engagement.” But as a person / company engaging with the Sage, you must know what you want out of it and how you are going to measure it, otherwise you will never know. j. Exit criteria: Knowing the exit criteria is as critical if not more than the entry criteria. Cause’ that is what, is going to decide the success or failure of the engagement with Sage. Hence think about when and how you would want to exit the engagement with the Sage. Knowing the background ahead of time will help you in really understanding if the Sage can possibly provide you with the information that you are looking for. For example, if you are looking for business vertical specific information, then find a Sage that has deep background in that vertical and can connect you with others in that vertical. Talk to people and research to find out experience that the Sage has in solving business problems. Understand the scale of problems that the Sage has been a part of. Once you know what you are looking for in a Sage, it will help you immensely in identifying the right one directly or with the help of people. ‘Time is Money’ couldn’t be more true in case of your engagement with the Sage. This is because Sages are always time crunched and so are you, especially if you a Startup entrepreneur. Hence, think about how and where you would want Sage to spend their time. Otherwise you will end up being in a situation, where clock is rapidly ticking but value you are extracting from the Sage is minimal and below your expectations. To prevent getting into this situation, make a list of all the activities that you would want the Sage to be part of. Prioritize those activities based on your needs. After that review those with the Sage, so that you will know where you can leverage Sage’s time most effectively. Perform this activity with rigor every once a week or fortnight and you should be able to get best and most out of the Sage’s time. There are a number of conversation which I have been a part of, where the Sage is asked to provide commentary on a topic that the Sage is not an expert on. Most Sages at that point will provide some high-level insights and stop at that. But there are a few that you should be aware of. The ones that provide misguiding advice in the hopes of squeezing more business from their clients. But as a person seeking advice, you must also be cautious of not providing encouragement for such conversations. Use your judgment wisely to save time, money and preventing yourself going on a wild goose chase based on misguided advice. As a Company / Person soliciting Sage’s advice, it’s your responsibility to not expect Silver Bullet answers from Sages for your business situations. In all probability, as a person who is in the middle of the situation, you have a better understanding of the situation. Leverage the Sage’s input as independent 3rd party perspective to see if you have missed anything from data or problem-solving perspective. Also, know that what the Sage is known for may not work for you. There might be some useful pointers there, but everything the Sage knows may not be always fully applicable to your situation. If you expect answers that will solve your problems then, you would have set wrong expectations and measure the Sage’s effectiveness on the wrong scale. This would be an injustice for both you and the Sage. Aditya is a experienced Product Strategist and Marketer and founder of Yutka, a company focused on turning startups into successful global brands by providing them strategic guidance on their Product and Services. You can follow him on LinkedIn and also his Blog. Being an Entrepreneur: Why Fear Is Important & How To Deal With It? Nice post and very much agree with your point of view. 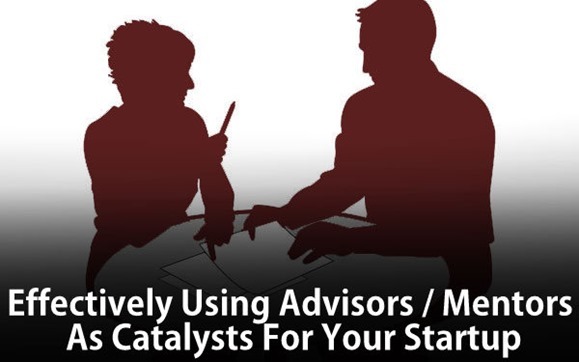 It’s better to know what you expect from your mentor and go accordingly. Don’t expect all answers and no point accepting everything coming your way. One need to draw that thin line. Thanks! Pradeep. Thinking ahead of time really helps both the parties involved and makes it a great experience for them.